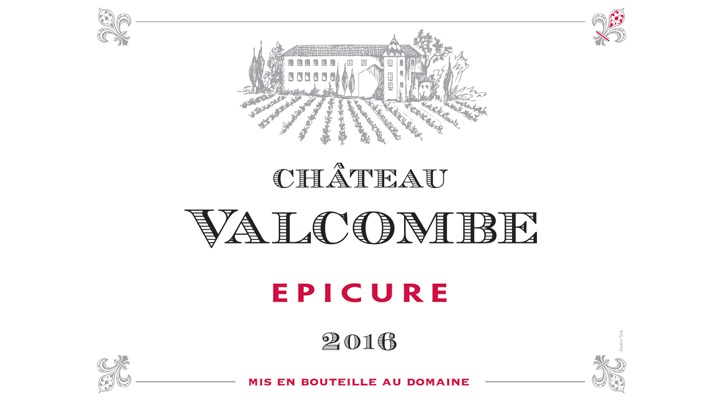 The Chateau Valcombe red “Epicure” is a round, well structured and well balanced. You can drink it right now or wait over 10 years. Produced from old vines (more than 60 years), it is perfect served with all what you will eat. The annual production is of 35,000 bottles. Situated in the town of St Pierre de Vassols, at an altitude of 250 meters, on hillsides oriented north-west, facing the Dentelles de Montmirail. Ventoux in Est. Our grapes are then handpicked, enabling us to select the best berries. The process involves racking and returning. Maturing in concrete tanks.